One of our Superior Sheds was recently installed for another happy customer in Whimple, Devon. 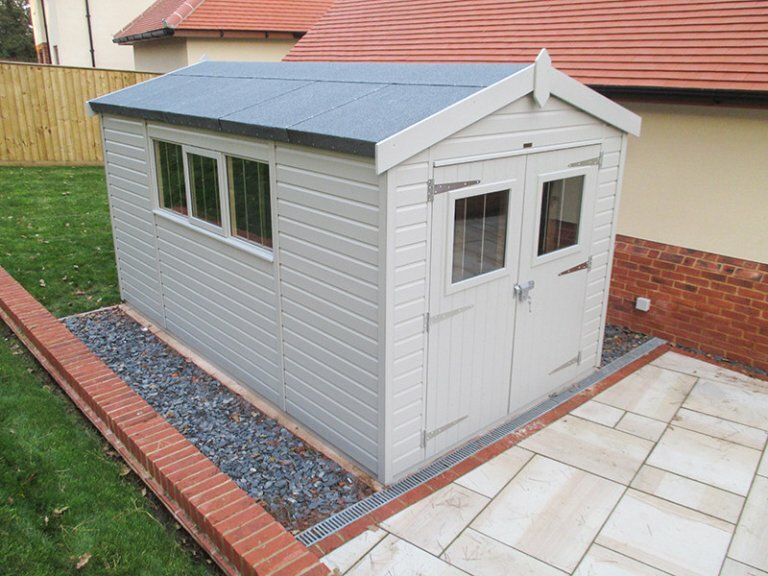 This 2.4 x 4.2m model is perfect for the safe and convenient storage of everything from power tools to paddling pools. The modern exterior is clad in shiplap using our sustainable FSC® certified timber and is painted in the Pebble shade of our Valtti Paint. The apex roof has been made reliable and weatherproof with our heat-bonded heavy-duty felt which also looks incredibly appealing and tasteful in any surroundings. The floor is also our heavy-duty floor and has been insulated, making it perfect for storing large items of equipment and ensuring longevity of the building under frequent footfall. Our Garden Sheds are just one of the many varieties of building we create. 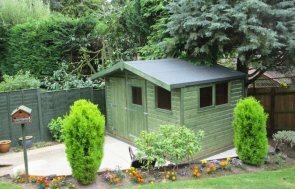 Some of the others include Garden Rooms, Summerhouses, Garden Studios & Offices, Timber Garages and Victoria Greenhouses. You can view a selection of these buildings at any of our Seven UK Show Centres, where you can browse to find the luxury Garden Building of your dreams. 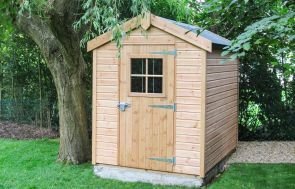 If you'd like to learn more about the sheds on offer and why we consider ourselves different to other garden building suppliers, click the link below to view the full collection of our garden sheds.